Photo by Steve Cowell. Used with permission. 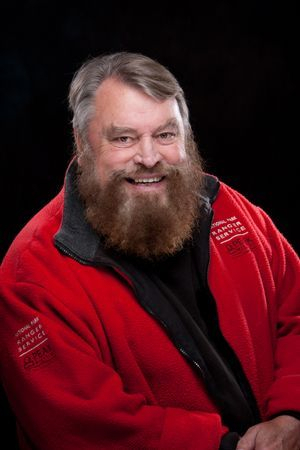 Svartland are proud to have renowned actor, writer, presenter and adventurer Brian Blessed OBE as our Honourary Life President. Brian trained at the Bristol Old Vic Theatre School before beginning a distinguished and varied career, which has encompassed all media. Brian is now one of this country’s best known and most highly respected actors. Television includes; ‘Augustus Caesar’ in I CLAUDIUS, ‘PC Fancy Smith’ in Z CARS; ‘Porthos’ in THE THREE MUSKETEERS; ‘Pepone’ in THE LITTLE WORLD OF DON CAMILLO; ‘Spiro’ in MY FAMILY AND OTHER ANIMALS; ‘Richard IV’ in BLACK ADDER; and ‘Squire Western’ in the BBC’s classic drama series TOM JONES. On Film, Brian has played ‘Talthybius’ in TROJAN WOMEN, ‘Vultan’ in FLASH GORDON; ‘Pedro’ in MAN OF LA MANCHA; ‘Long John Silver’ in RETURN TO TREASURE ISLAND; and ‘Lord Locksley’ in ROBIN HOOD PRINCE OF THIEVES. In Kenneth Branagh’s HENRY V he played ‘Exeter’, in MUCH ADO ABOUT NOTHING he played ‘Antonio’, in HAMLET he played ‘Hamlet’s Father and the Ghost’ and ‘Duke Frederick/Duke Senior’ in AS YOU LIKE IT. He played ‘Boss Nass’ in George Lucas’ STAR WARS, THE PHANTOM MENACE, ‘Clayton’ in Walt Disney’s TARZAN and ‘Leonidas’ in Oliver Stones’ ALEXANDER. His Theatre credits includes ‘Old Deuteronomy’ in Andrew Lloyd Webber’s CATS, ‘Claudius’ in HAMLET, ‘Exeter’ in HENRY V and ‘Hastings’ in RICHARD III at the RSC, ‘Maxim Gorky’ in STATE OF REVOLUTION and ‘Sir Tunbelly Clumsey’ in THE RELAPSE at the RNT. He also played ‘Henry II’ in THE LION IN WINTER, and ‘Baron Bomburst’ in CHITTY, BANG, BANG at the London Palladium.